"Here is the information and spirit that that our hearts and breasts have needed for a very long time." - Christiane Northrup, M.D. This website is a virtual journey through Breast Cancer? Breast Health! the Wise Woman Way by Susun S. Weed. 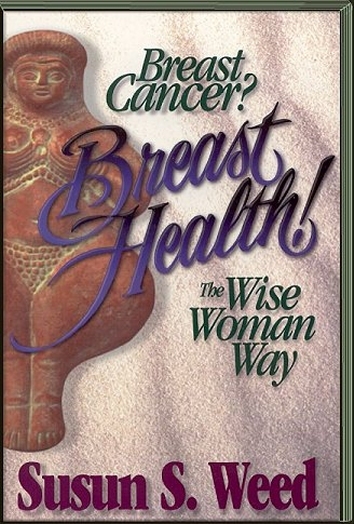 This invaluable book is for women who want to maintain breast health and for women diagnosed with breast cancer. This information is shared with understanding that you accept complete responsibility for your own health and well-being. Explore and enjoy! "The voice of women's wisdom sings on every page of this magnificent book." Christiane Northrup, M.D. 1. Can Breast Cancer Be Prevented? 2. Can Food Prevent Cancer? 6. There's A Lump In My Breast! 7. What Is Breast Cancer?